MOO-Slime Tries To Trash American Hero And Regrets It!! | All Boards | Current Events | Topic: MOO-Slime Tries To Trash American Hero And Regrets It!! 0 Members and 1 Guest are viewing this topic. Re: MOO-Slime Tries To Trash American Hero And Regrets It!! They have completely different meanings!!! Wvit, do you believe military service makes on immune to criticism or consequences? 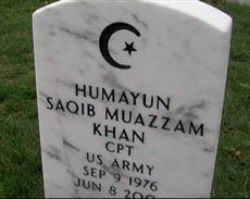 Remember when your Islamophobic, hate-mongering, Dear Leader trump criticised the parents of a slain Muslim soldier? Telling the truth about Islam is not Islamophobic or hate-mongering! When did your Islamophobic, hate-mongering, lying arse start telling the truth about Islam and Muslims in this forum? An average of 22 percent of Muslims believe in suicide bombing! Given the world has 2038 million Muslims, that means 448.4 million Muslims are pro terrorist! exceeding the entire population of America twice over! Why do you think that is a good thing? MOO-Slime? I don't think so. Composition: you've assumed that characteristics of some members of a group applies to the entire group. Hasty Generalisation: you've drawn general conclusion from a very small sample. Send MOO-Slimes BACK to where they belong. Anywhere but in America!!!! Remember, we're the "Great Satan"!!! If America is the "Great Satan", then why would MOO-Slimes want to come here? Normal People certainly wish those hateful people would stay where they belong - in their chithole Countries!!!! | All Boards | Current Events | Topic: MOO-Slime Tries To Trash American Hero And Regrets It! !